Recent Canstar Blue research found that the average New Zealander spends four hours online each day – and 41% of us feel stressed if we don’t have access to the internet. With so much of our lives spent on the World Wide Web, getting the best broadband deal you can is important. Here are some tips to help you do just that. Because you don’t want to end up paying for extras you don’t need! 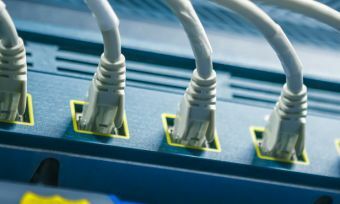 “If you already own a good modem/router, look for plans with a cheaper BYO modem option,” said Joseph Hanlon, Editor of Australian-based comparison site WhistleOut. “A typical broadband bundle includes ADSL2+ and line rental, but does the plan you’re considering include landline calls, or will you pay for these on top of the monthly bundle cost? Do you even need them? It’s exciting when you find a terrific deal with a new broadband provider … but not so good if you unexpectedly find yourself paying through the nose for switching costs thanks to a locked-in contract you weren’t aware of – particularly as value for money was the second-largest driver of satisfaction in our survey! So make sure you’re not still under a contract with your current service provider, or if you are, that you know how much it will cost to cancel this contract. Will the cancellation costs make switching right now worthwhile? Canstar Blue’s recent survey of 1,120 Kiwis found that reliability of service was the single biggest driver of satisfaction for customers. So as well as ticking off the technical requirements, also ask friends and family – and the greater online community – about their experiences with the service provider you are considering a move to. 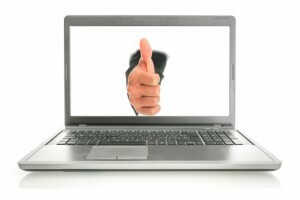 Great customer service is such an important consideration when you’re looking at technical products like broadband. If you’re not under contract, your new service provider can manage the technical side of the switching process for you. Be patient though: it can take some time to set up a new broadband plan, and there’s always the risk that your old provider will have trouble closing your account, as well. Allow a couple of weeks for everything to transition smoothly. If you’re moving home and want to take the opportunity to find a new provider, or are just on the lookout for a better deal, start comparing early because it’s easy to fall into the trap of accepting a deal which doesn’t necessarily work best for you, simply because you’re desperate to get connected in your new place. If you’re not entirely happy with your service provider but don’t want the hassle of switching, why not try some good old-fashioned negotiation techniques instead? Phone your existing provider, tell them what you want and what you can get elsewhere, and ask them what they can do for you. You might be pleasantly surprised by the outcome.